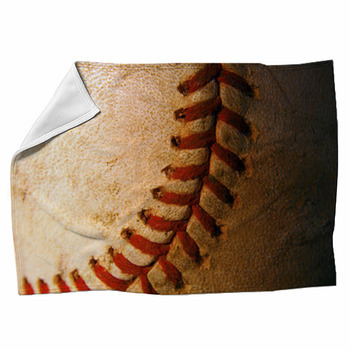 Make sure your daughter gets a good night's rest before the big game by giving her our softball blankets. Choose close up shots of standard yellow softballs, scoreboards, bats and batting helmets, as well as action scenes of real softball games. 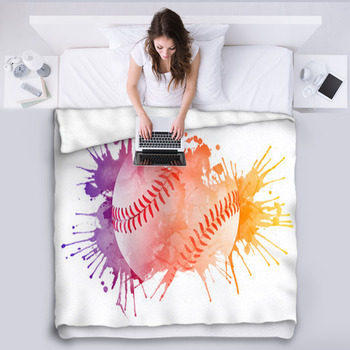 These fleece blankets also come in an array of stylized depictions of softball, using illustrations, paintings, cartoons and a rainbow of color to bring this exciting sport to life. 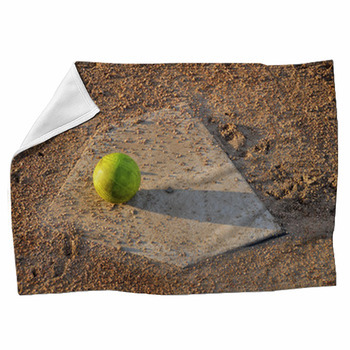 Celebrate your little girl joining her first softball team by giving her a woven blanket that displays a collage of softball equipment and action. 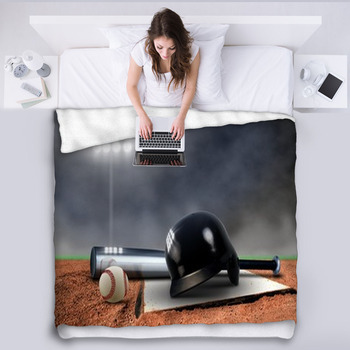 The black silhouettes of softball players hitting, catching, pitching and diving after balls are set beside a blue softball diamond, two brown leather gloves, two bats and two softballs on these fleece blankets. Focus on the importance of defense in softball with a blanket that shows a white ball soaring into a glove. 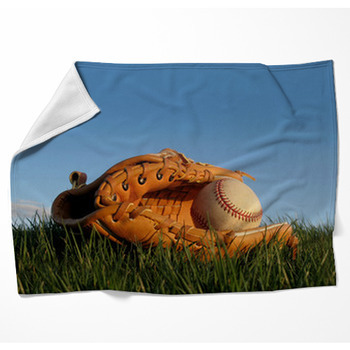 Another softball blanket highlights the base running aspects of the sport with a photo image of a girl poised to run from first base to second. She's dressed in a black and red uniform as she digs her sneakers into the tan clay infield and gets ready to sprint as soon as her teammate hits a single. 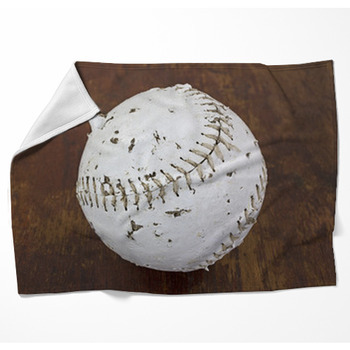 To capture the fun and tension of waiting in a dugout for a chance to bat, go for a throw blanket that features a photo of an aluminum bench in a softball dugout. A yellow softball, black bat and navy blue batting helmet are sitting on this bench beside a chain link fence. 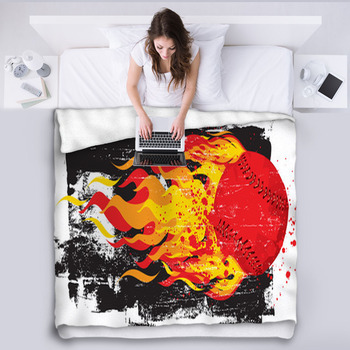 Convey the power of a home run with a softball blanket that shows a ball leaving a trail of orange flames through a black background. Or embrace the femininity of this game by selecting a blanket patterned with four softballs drawn over splashes of dark pink paint. 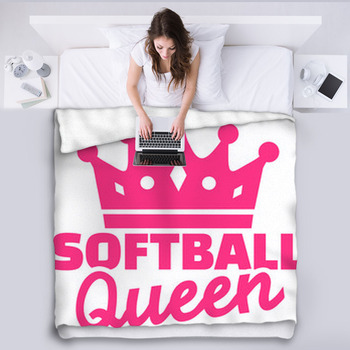 Give your daughter a bedroom decor themed in her favorite sport by also ordering softball pillows and wall murals.